Baby Bump, a Louisiana based maternity and children’s boutique, was determined to partner with Marcus Lemonis of “The Profit” and turn their business around. The company is owned and operated by husband and wife duo Robbie and Julie Allen. Their persistence in reaching out to Marcus 384 times via email is what ultimately caught his attention and landed them an opportunity to present their business to him. 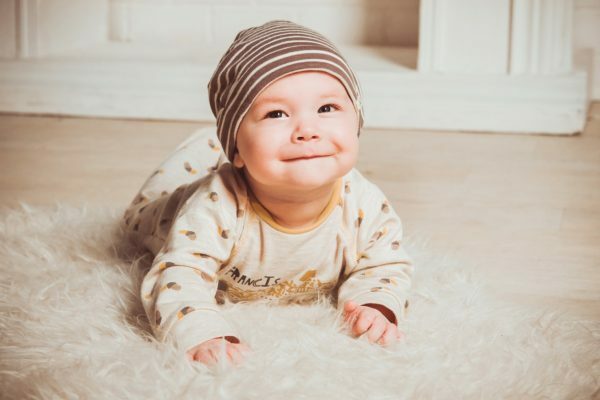 Marcus was immediately drawn to Baby Bump because he felt that children’s apparel stores are a relatively safe bet and are mostly recession-proof, however, he quickly learned that Baby Bump was upside down in their finances by $135,000. Marcus was able to identify that while their profit margins were about 12% too low, they are still turning a profit with approximately $1 million in sales without a proper inventory system, e-commerce website, buying plan, and lack of merchandising skills. The Allen’s persistence pays off when Marcus offers them $100,000 cash for working capital to bring in the right inventory, systems and merchandising. In exchange, he would have 50% ownership in the company. The Allen’s agree and they set off on a journey to learn and grow their business with their new business partner, Marcus Lemonis. They lack merchandising experience, a customer information database, and a digital presence. They have social media (primarilyInstagram) but they don’t have an e-commerce system. They have inventory management software and a very basic website, but they do not talk to each other. On top of these issues surrounding their business, Robbie and Julie also struggled with Robbie being diagnosed with cancer in 2017. Not only did this emotionally take a toll on their family, but it devastated their family financially and it also left certain aspects of their business and their relationship on the rocks. Because Julie had to take over so much while Robbie was sick, she is having a hard time letting go and stepping back from micromanaging all of the decisions with their stores. The Allen’s were very receptive to the proposed changes and dove right into to embrace all of Marcus’ suggestions for how to turn around their business. One of the highlights of this episode comes when Marcus introduces Robbie and Julie to a young entrepreneur who is the CEO of Larchmont Lemonade, Royce Chaffin-Morris. Royce gives them solid financial analysis advice while also scoring herself a deal to sell branded t-shirts of her lemonade stand in the Allen’s recently renamed store, Kool Kids. Royce teaches Robbie and Julie the basics of analyzing profit margins: Selling cost of product – Cost to make product = the profit margin. If you don’t know the profit margin, you will never know if you are under or over selling your product. After Marcus revealed the new name of the company, he explained the concept behind the name (which from past episodes we know would be a great social cause). Kids today really struggle with being included and being one of the cool kids. They want to have a store where every kid is included and can feel cool. Their mission is to create a safe place for parents and kids to shop regardless of their size, shape, color, and tastes. Their guiding principle will be that every kid is cool. Anytime you are building an assortment of products to bring into your store, build a story around the collection (color palette, theme, season, etc). This will increase the likelihood of them buying more than one garment. See everyone as potential customers. They all have their own styles and bodies. Let them all find something comfortable for them. The goal of a balance sheet and P&L statement is to own more than you owe. To improve balance sheets: sell more, improve margins, control expenses. That’s how you will make a profit. Robbie and Julie committed to and accomplished all of the major changes that Marcus set forth and they celebrated their grand re-opening of their store. Overall, Marcus spent approximately $50K on new fixtures, $45K on space and lighting, and added $55K worth of new inventory. From eliminating maternity and expanding the age range for youth, they should increase their average per day from $1000 in sales to an average per day of $2,700. They also have increased their profit margins through private labeling from 48% to 61%. They will be updating their website and expect their revenue to triple over the next few years as they expand. Persistence may have gotten the Allen’s a spot on the Profit and an opportunity to partner with Marcus Lemonis, but their work ethic is what really turned their business around. What are your thoughts on the improvement plan that was introduced for this small business? How did you feel about the progress this company made during it’s rebrand from Baby Bump to Kool Kids? Let us know in the comments section below!